Although it’s tough for me to get away, I really enjoy going to writer’s conferences. I love the chance to see other writers in person, since most of my interaction is online. 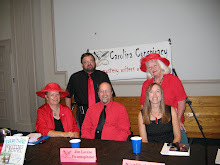 Saturday, I went to the Book ‘Em conference in Lumberton, NC. It was a great event--well-organized and well-attended. Meeting readers and meeting other writers. Informative panels: I hear interesting perspectives on the publishing industry and the writing craft when I go to conferences. If you’re published, know in advance how the book sales will be handled. Should you bring your own books? Will the venue be ordering books? Will you be handling the sales, yourself (in which case you need to bring change) or will there be a bookstore handling them? Keep your receipts for tax write-offs. Bring water with you if you’re on a panel. Pick your conferences carefully. Getting to conferences can be expensive, so I’d recommend finding conferences that are a good fit for what you write and aren’t too far away, geographically. Pace yourself. And wear comfortable shoes. Have you been to any conferences? What tips can you add? Last weekend, I was in South Carolina for the Festival of the Arts in the town of Anderson. I’m originally from Anderson and Jane, one of the event organizers, called me last fall and invited me to attend. She explained that it wasn’t a signing or speaking gig, but more of an exhibit. The artists would be there to talk to attendees about their creative process, etc. The word “artist” gave me pause, although I frequently use it in reference to writers. This time, though…. “Who is going to be there?” I asked. “Sculptors, painters, photographers, quilters, woodworkers…” The list went on. I agreed to go, but remember feeling…well, a little insecure about it. Those other artists are artists! In every way. But she convinced me to send along what I had. I put together some of my books, some of my printed rough drafts that I’d marked up with revisions, an ARC of one of my books, and a few notebooks for past projects that had sticky notes scattered throughout and cryptic notes to myself. When I got to the festival last Saturday, I learned that I wasn’t the only attendee to have second thoughts or doubts. Jane told me that a large number of the artists she’d called had told her that they didn’t consider what they did art. Some did consider their creative efforts art, but they didn’t think it was good enough to display. Some were uncomfortable with anyone viewing their art, stating it had really just been done to please themselves. I’m fairly confident about some aspects of my writing now. I’m confident I can finish a book. I’m confident I can deliver what my editors are looking for (or, if not, that I can tweak it to make it work.) I’m confident that I can fix whatever disaster of a first draft that I write. But this just serves as a reminder that we’re never really over feeling insecure about what we do, especially in comparison to others’ efforts. And that apparently is true for other areas of the artistic community, too. Once the exhibition started, though, I think all the artists forgot their self-consciousness. That’s because our audience came in. And they were eager to see what we were doing, ask questions, and enjoy what we’d created. This makes me think that if we think less about what other artists or writers are accomplishing, less about our own fragile egos, and look toward our readers, we might have a shot of getting past our insecurities. How do you step outside your comfort zone as a writer? How do you battle insecurities? Penguin has asked me to write a fourth Memphis Barbeque book. It was great to hear that I’d have a reason to spend more time with the characters in that series. I also had an idea for something I wanted to do with the plot—I wanted to feature the huge Memphis in May festival that’s such a big event there every year. My protagonist and sleuth for the series is Lulu Taylor, who owns a barbeque restaurant. I decided to make Lulu a judge for the event. There are many different foods to judge at the festival—everything from slaw to sauce to the barbeque itself. I got deeper into the research on being a food judge. I realized there were different rules these judges have to follow to keep the competition fair. I saw that there was a good deal of training that went into being one. I felt, also, that this would be something I’d need to make sure I represented well in the book, since there are people in Memphis who read this series…and I wanted my information to be correct and not something that I changed for my own purposes. I could also tell that Lulu would be kept very busy as a judge. As I got farther into the book (this is one that I’m working on now), I realized I was making this mystery unnecessarily complex. And confusing. And, really, having Lulu be a judge was going to tie up a lot of her time and make her less available to investigate a murder. This wasn’t a book about judging barbeque competitions. This was a mystery. And my sleuth needed to solve the mystery, not pick the top baked bean winner. Does this forward the plot? Is it necessary? Am I including research simply to show off how well I’ve researched? Will this complication confuse readers? Are there other, simpler ways to accomplish the same effect? What’s the basic reason I’m including this complication in the book? For me, I decided the whole point I’d made Lulu a judge was to put her on the scene at Memphis in May. But wouldn’t she already be there? Her best friends have a booth at the festival. It’s the biggest Memphis event of the year. And Lulu has two grandchildren begging for her to take them there. Why wouldn't she be there? The whole complication of Lulu being a judge just wasn’t needed. It only made the plot more convoluted for readers and tougher for me to write. And required a great deal of research. Do you ever notice, like me, that you’re making things complicated for both yourself and your readers? How do you simplify unnecessarily convoluted plotlines? Being raised English presented considerable disadvantages to me as a writer and a blogger. The greatest of them was the English pride in understatement and self-deprecation. Promoting my blog and my books has required me to re-educate myself. It hasn't been easy to unprogram a lifetime's teaching. Only the other day my wife took me aside after I was asked how sales of my new book Hot Silver - Riding the Indian Pacific were going. "I'm no Bill Bryson," I'd said. With a stern look she pointed out that I was number three in the Amazon bestseller list for my category. Why on earth didn't I tell people that, she asked. Well now I have and that's what I'm learning to do with my blog as well. Taleist runs under the slogan "Helping writers become published authors". It's true, that's what the site is about, but it seems wrong to shout about it. I was a long time before I put the tagline up. The truth is that nice bloggers don't get the reader. You have to talk about your virtues and strengths. You need to tell people what your site is good at because you can't count on them investing the energy in finding out themselves. You need to back yourself, to become your cheering section. Certainly word-of-mouth is crucial, especially people using their social networks to share your content. But you set the tone. Your self-belief leads others to believe in you. The trick is to find the line between confident and obnoxious. Whatever our cultural background there is a line between someone we admire for his or her self-confidence and someone whose arrogance grates. That line is in a different place for everyone so you're also going to have to grow a thick enough skin to cope with that. You won't be loved by everybody but it's better to loved passionately by a few than to be a source of indifference to many. To use testimonials. I'm lucky enough to have found some credible people who like what I'm doing. When they say something nice about the site/the books/me, I ask to use their words. That way I don't have to assert these things myself and it doesn't look like I'm the only person who thinks I'm useful or I write well. To ask for what I want. No reader is as committed as the reader who has subscribed to your blog by email. I work hard to build my subscriber list, including having a pop-up window that appears on the site and asks visitors to sign up. Many people instinctively recoil at the idea of these windows. Me, too! How obnoxious they are. But they work: I've had triple digit percentage growth in my mailing list since introducing them. If you don't ask, you don't get. I haven't got all the answers and there are things I still need to work on. I think Copyblogger is essential reading, for instance, but sometimes I find their tone relentless and their content contrived. Their success suggests, however, that they're onto something! Most of all, after writing for newspapers and magazines for 15 years and having seven books on Amazon, I'm surely entitled to say "writer" when asked what I do. So why can't I? Yet. 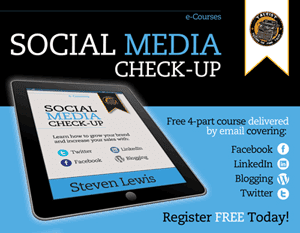 Steven Lewis writes the Taleist self-publishing blog, where you can sign-up for his social media check-up, a free email course showing you easy ways to make sure you're using social media to maximum effect in promoting your books. Mystery Writer in the Family. Blogger in the House. As a girl, I started with Nancy Drew. Loved her curiosity. Her intelligence. Her courage. But I would get scared and have to close the book. Wait until another time. Read in the living room when others were around. Couldn't stay away long though. Always wanted to know what happened next. Balancing fear and curiosity. Curiosity and fear. Before grade school was done, I put mysteries aside. For decades. Just didn't need to risk the tension of fear. Then my aunt wrote a mystery. Her first book. And another, and another. She found what she called a "sleezy" publisher who paid mere pennies a sale, but it was a start. The Trouble With... series was launched. A novelist in my own family. Leading the way. I had to pick up a copy and risk the fear. Murder always gave me the creeps. It's horrific. In the news every day. Why would anyone want to take it on for leisure? C. Crespi, as she called herself at the time, wrote light mysteries. She named her characters after her pets. She drew from experiences in the big Apple. Wove her sweetheart into the tales. They were filled with fascinating details about life in the city, a quirky detective, with an international background like her own. Yes there was always a murder, but most of them weren't scary. The stories were delightful. Getting an agent was awful though. So many unanswered letters and emails. Disappointments. Until the one acceptance that made it all worthwhile. I was grateful to hear the reality of being a writer. Not sure I’d have the stomach for it. Camilla broke into the big time - selling a few books to a major publisher, Harper Collins. Hardbacks. Book tours. Publicist. The works. I was so proud. Excited too because she was paving the way for my own writing. Not by opening doors, but by doing it, simply showing it could be done. Her writing stepped up. She wrote a psychological thriller. The Price of Silence was literary fiction. A gripping story. Stirring. Questions that beg an answer from the first page. Catch a reader by the first paragraph and keep us wanting answers until the end, and, beyond. Having an agent for one book doesn't mean an agent for every book. The agony of the search. Finally one. A sale to Soho Press. Now publishing under her own name, Camilla Trinchieri. Then presto. Price sold across the ocean. In Italy, where her father, my grandfather was from. Where she had lived for years, and I too, for a few. Il prezzo del silenzio. A direct translation of her title. Marcos and Marcos press. Completely different cover. Picking up on the Chinese thread. A launch in Rome, Florence. Sardinia. Radio interviews. Magazine interviews. An American. A New Yorker. Translated into Italian. Fluent in Italian, half Italian really. Welcomed. Celebrated. A prodigal daughter. I had just discovered the power of blogging in 2008. Excited about what was possible, I launched a publicity blog for her. She wasn't into blogging. She stays focused on writing books. (A good focus for a writer, one I should take a lesson from.) But I scoured the Internet for everything I could find about her American edition, and then scoured the Italian Internet for everything in Italian about her. Google.it shows different results than Google.com. Hours and hours of wonderful work, researching every result of thousands month after month. Discovering all kinds of reviews and comments. Discovering that her books were sold online in dozens of countries around the world. South Africa. India. England. Australia. Germany. France. After adding a Feedjit widget on the sidebar, we could see that visitors were landing on the blog from all over the world. Whether or not any books were sold, people were visiting, and the posts were a wonderful public record of all her events and all the reviews she’d received. Mysteries are still not my cup of tea. Too scary, still. But I know this much. Every book could take a lesson from the genre. Hook your reader with intrigue from the start, tantalize with unanswered questions, leave subtle clues that sneak up and surprise us, and leave us dying to know more. 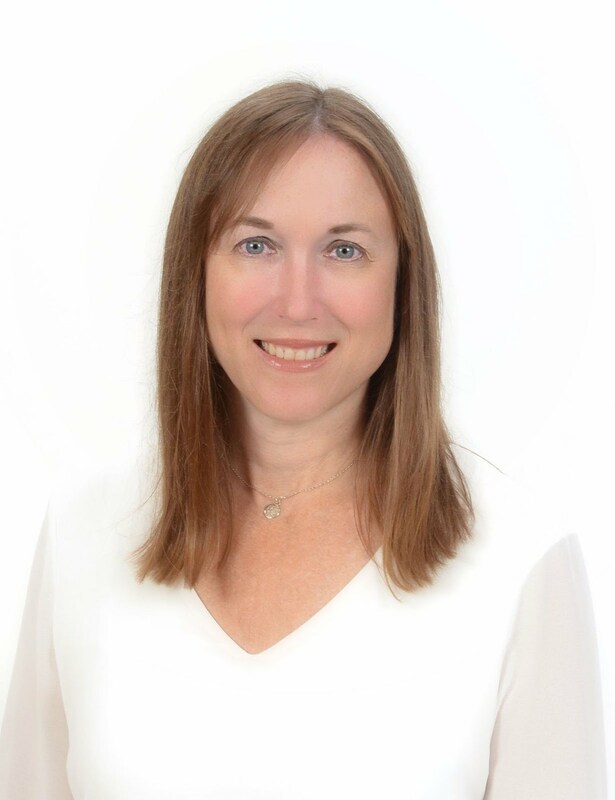 Anora McGaha is a poet, non-fiction writer, author of Social Media for Business and personal essays in three anthologies. She is the editor of Women Writers, Women Books at www.booksbywomen.org. @anorawrites is her writing handle on Twitter, and @womenwriters is the handle for her online literary magazine for women writers. 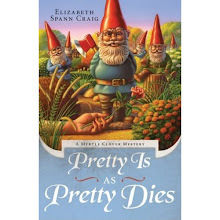 It's fun to take a break from writing and visit Elizabeth on her blog! Thanks Elizabeth! I thought it would be fun to write about natural remedies since my new book Death Drops: A Natural Remedies Mystery features a holistic doctor who dispenses natural cures. I also thought that readers might be interested in natural ways to boost energy when it comes to writing. I don’t know about you ut the best time for me to be productive and hopefully brilliant! is in the morning from 9 to noon. But once I have lunch, I feel less energetic. However, if I’m under a deadline I need to power through less productive times and write throughout the day. That’s when I turn to my favorite natural remedy – coffee! I buy mine from 7-11 because home brewed just isn’t strong enough. I interviewed a doctor at Harvard Medical School years ago for an article and he told me that coffee at 7-11 and Dunkin’ Donuts is 8 times as strong has home brewed! Not only does coffee give me a much needed pick-me-up, I’ve found it also boosts my mood (recent research shows that coffee can help with mild depression) and helps me see things more clearly. In addition, these natural cures can make you more alert and focused, with writing or whatever you need to do! 1. Sip small amounts of chilled water every 30 minutes. Studies show that when you consume small amounts of chilled water every 20-30 minutes during the day, it sends a clear and immediate signal to your brain to increase alertness and energy. 2. Smell peppermint. According to a study in the North American Journal of Psychology drivers had more energy when exposed to this scent. Peppermint increases alertness and decreases fatigue. Chew a nice strong peppermint gum or peppermint mints while you write or drive to decrease fatigue and increase alertness. 3. Use acupressure on your outer ears. Applying pressure to acupressure points all along the outer ear helps to clear the head, gets rid of dull pain above the neck and charges up your entire energy system. Just take your thumb and first finger and go up and down the entire outer ear two or three times and give it a good brisk rubbing. 4. Drink green tea. Green tea has some energizing caffeine, but it also contains theanine, an amino acid that has a stress-reducing effect on your brain. It calms you while giving you mental clarity, leaving your mind clear and sharp and alert. 5. Inhale Eucalyptus or spearmint essential oil. The nose is the only part of your brain that extends to the outer environment is your sense of smell so it’s very charged. Volatile oils such as eucalyptus or spearmint stimulate a part of your brain that triggers alertness. For a natural pick-me-up place a few drops of eucalyptus or spearmint essential oil on a tissue and inhale deeply. 6. Eat Dark Chocolate. Although it’s weaker than caffeine, the chemical theobromine in chocolate is a mild stimulant. Chocolate also contains phenylethylamine, (PEA) which is a feel good mood elevator. Choose a high quality, imported dark chocolate with 70% or more cocoa content. It has less sugar and its rich flavor will satisfy you with less. Aim for 1 ounce of dark chocolate a few times a week. Dr. Willow McQuade, N.D., a twenty-eight-year-old naturopathic doctor specializing in natural remedies, has decided to take sabbatical and visit her Aunt Claire, the owner of Nature’s Way Market and Cafe in idyllic Greenport, Long Island. But the idea of rest and relaxation is quickly forgotten when Willow arrives from a morning meditative walk to discover her Aunt Claire dead in the store, a strange almond-like smell emanating from her mouth and a bottle of flower essences by her side. Despite her Zen nature and penchant for yoga, Aunt Claire had a knack for getting into confrontations with folks. An activist, she held weekly meetings for different causes every week in the store. The police want to believe the death is accidental—but Willow thinks she may have been poisoned. Things get worse when Aunt Claire’s valuable recipe for a new natural age-defying formula, Fresh Face, is stolen during a store break-in, and an attempt is made on Willow’s life. Desperate for a way out of the mess, she turns to a handsome young cop Jackson Spade. Together the two set about solving the case the natural way—through a combination of hard work, common sense, and a dose of luck. Death Drops: A Natural Remedies Mystery is available for pre-order now and on sale February 21st . To order please visit www.chrystlefiedler.com. Chrystle Fiedler is the author of DEATH DROPS: A NATURAL REMEDIES MYSTERY (Gallery Books/Simon and Schuster) which will be published on February 21st 2012. I’m also the author of the non-fiction title THE COMPLETE IDIOT'S GUIDE TO NATURAL REMEDIES (Alpha, 2009), co-author of BEAT SUGAR ADDICTION NOW! (Fairwinds Press, 2010), currently in its fourth printing, the BEAT SUGAR ADDICTION NOW! COOKBOOK (Fairwinds Press, 2012) and THE COUNTRY ALMANAC OF HOME REMEDIES (Fairwinds, 2011). Chrystle's magazine articles featuring natural remedies have appeared in many national publications including Better Homes and Gardens, Natural Health, Vegetarian Times and Remedy. Happy Valentine’s Day, everyone! Today I’m over at the Southern Writer’s Magazine blog with a post on torturing our characters…for their own good. Hope you’ll be able to pop by. Have a great Valentine’s Day! Hope you’ll join me today over at A Good Blog is Hard to Find. I’m on the rotation for this blog of Southern-US writers and my topic today is keeping in touch with our readers (or future readers)—why it’s important and basic ways to open up the lines of communication. Below are the writing-related links I tweeted last week. The free Writer’s Knowledge Base search engine, designed by software engineer and writer Mike Fleming, makes all these links (now over 12,000) searchable. The WKB recently celebrated its one-year anniversary.